Big Bin Hire is based in Williamstown. 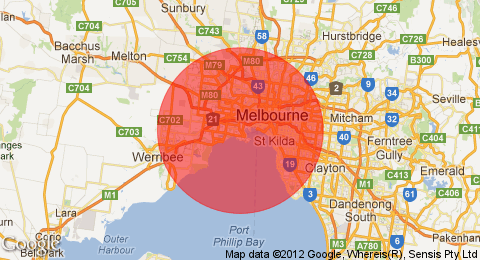 We are a local and reliable skip bin hire supplier in the western suburbs and the rest of Melbourne. You will regularly see us servicing customers with skip bin hire in Spotswood. Our range of skip bin sizes allow us to service most jobs. We can supply you with a 4-20m3 walk-in skip bin and can accept most waste types. One of our biggest advantages is our reliability. When we say we are going to be there, we will be there. When we tell you we are going to pick your skip bin up – it will be picked up. We understand that time is money, and we take your time and job requirements very seriously. Our staff are very courteous and we always look forward to working with customers who share the same courtesy. Next time you are after a skip bin, please give us a call and we will happily give you a quote. We understand that driveway space in Spotswood, Yarraville, Seddon etc can sometimes be at a premium. What we suggest you do is send us an email with your address, so we can assess the placement of your skip bin in your driveway. Please note we require 3m width for the truck to access your driveway. Should you require a permit for your skip bin (if council land is required, we will happily arrange this for you). We have a range of resources on our website to assist you in determining the right size skip bin for your job. Before you hire a skip bin, please have a read and give us a call if you need any further assistance.